Hundreds of Morsi supporters have stormed a government building in Giza and set it alight, reports state TV. This comes after Wednesday’s brutal crackdown on Muslim Brotherhood loyalists in which over 630 people died. The Giza incident was confirmed by interior ministry sources, who told Al Jazeera that protesters had been flinging Molotov cocktails at the building and firing live ammunition. However, government employees managed to evacuate the main colonial-style vialla building before it fell under siege. 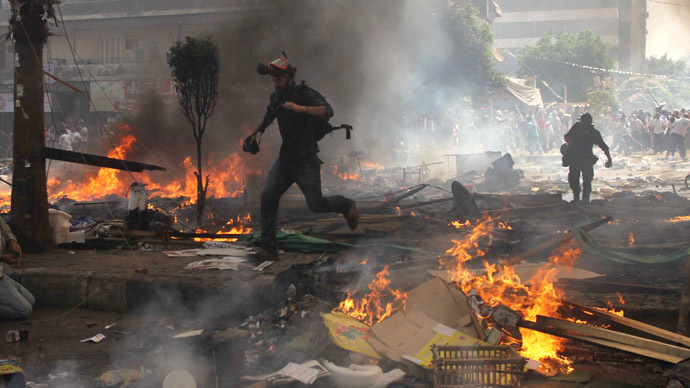 Earlier, it was reported that MB supporters set on fire the governorate headquarters in Cairo. This is yet to be confirmed. 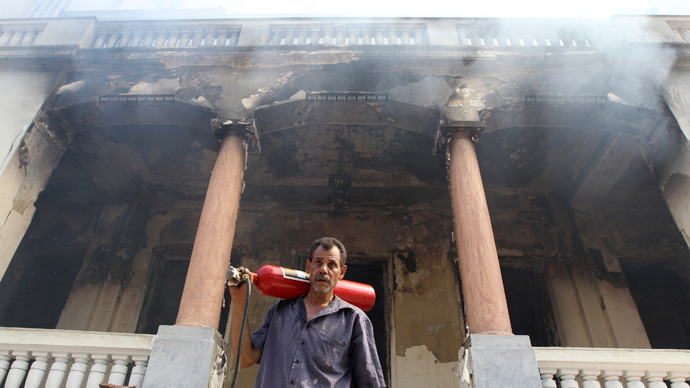 In Giza, a nearby four-story administrative buildings was torched alongside the governorate building. People could be seen frantically trying to escape from the top levels of a block in the area with the aid of firefighters. The affected Giza government offices are situated on Pyramids Street, on the west bank of the River Nile. The burst of anti-government activity in the capital shortly follows a hundred-strong march in Alexandria, Egypt’s second largest city. Protesters have been chanting “We will come back again for the sake of our martyrs,” despite the violent clearing of two protest camps on Wednesday. The march eventually turned violent as MB supporters clashed with local residents. 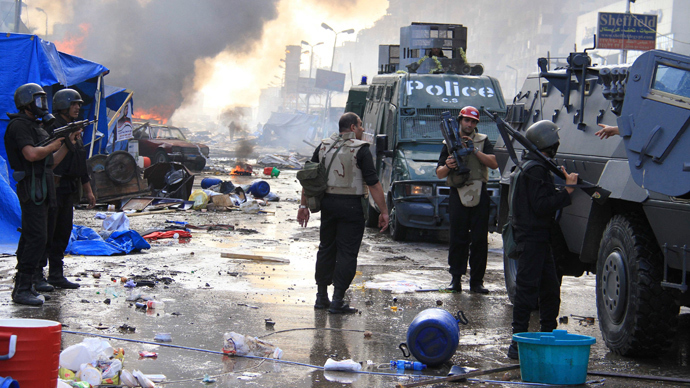 At least three people were killed and 55 others sustained injuries there, reports Al Arabiya. The Muslim Brotherhood called for marches and sit-ins to continue throughout Thursday as a show of solidarity for previous rallies and those who were killed when security forces cleared the two main camps in the capital. The suppression prompted outcry from the international community, which demanded that the violence be halted. 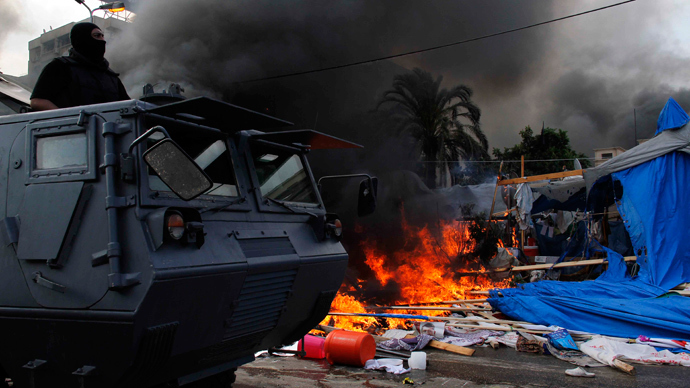 The interim government declared a state of emergency and a curfew, stating that new protest camps would not be allowed.